George, the fashion and homewares arm of UK supermarket group Asda, is taking a number of steps to improve the ethical and environmental impact of its products – including using only polyester that is sourced from recycled materials by 2025, and publishing a list of its second tier apparel supplier factories. New products launching in the retailer's spring/summer 19 range include blouses and dresses made with fabric from recycled polyester clothing. Available from May, the dress and blouse will be priced at GBP20 (US$26) and GBP10 (US$13) respectively. The move to recycled polyester is thought to be a first for a supermarket retailer – and is accompanied by commitments to sourcing only certified sustainable viscose and sustainable cotton by 2025. 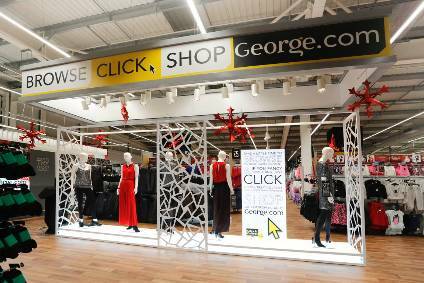 George, the second largest fashion retailer in the UK by volume, will also extend its work looking at microfibre shedding, with a full microfibre strategy to be published later this year. Asda was the first big supermarket to sign up to the Microfibre Consortium last year, through which it is currently performing tests to understand the extent of shedding from different fabrics. The retailer will also help its customers to understand more about the sustainability of their garments and how to reduce the environmental impact, with increased visibility of garment care and awareness of how they can repurpose, reuse or recycle old clothing. George has a zero-tolerance policy towards incineration and donates garments that cannot be sold to charitable organisations to be repurposed. To further increase transparency around its supply chain, George will begin to publish a list of its second tier apparel factories – those typically dyeing, printing and finishing garments – on its 'Sourced by George' website, joining its existing list of first tier factories, where clothes are cut, sewn and trimmed. "We have a responsibility to do the right thing by our customers, not only on the price and quality of our goods, but also on the impact we have on the world around us," explains Nick Jones, senior vice president for commercial. "Our George sustainability strategy builds on the work we've done to date and sets stretching targets and commitments to reduce the environmental and social impact of our products; because we know that, for our customers, looking after the environment is always in fashion." Working to help customers to reduce their impact on the environment.